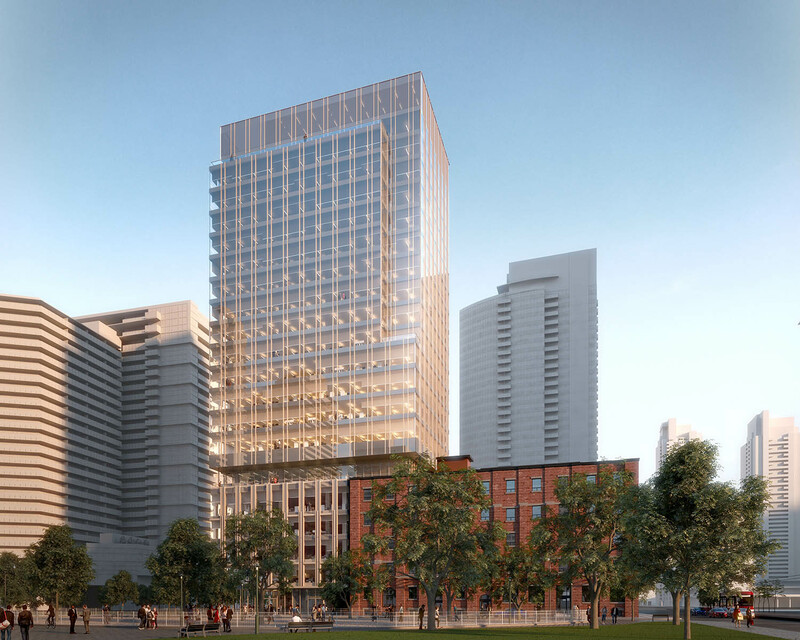 The new design complements and respects the prominence of the heritage building along Spadina, while providing the full complex with state-of-the-art building systems that will bring many improvements to the existing office. The Steele Briggs warehouse on Spadina Avenue was built in the early 1900s and used to be at the edge of the railway lands, ideal for their business which involved selling and shipping seeds to farmers in rural Canada. Today, the same building is a heritage brick-and-beam office building, with a one-storey industrial/retail building attached to the back. Sweeny&Co identified potential for intensification on the retail/industrial portion of the land, which would be the base for a new office building rising up and cantilevering over the existing building. The new design will connect and extend every floor of the existing building, creating unique hybrid spaces of old and new. In addition, the floor that is level with the roof of the existing building will open up to a new rooftop terrace amenity for tenants.